Does nuclear energy make a comeback? On 26th October 2018, the Dutch television (NOS/Nieuwsuur) broadcast “Maakt kernenergie een comeback?” (“Is nuclear energy making a comeback?”), featuring the Nuclear Pride Fest (and more). Below, we have translated the Dutch video into English. 00.00 Group singing “Power, power for the people”. 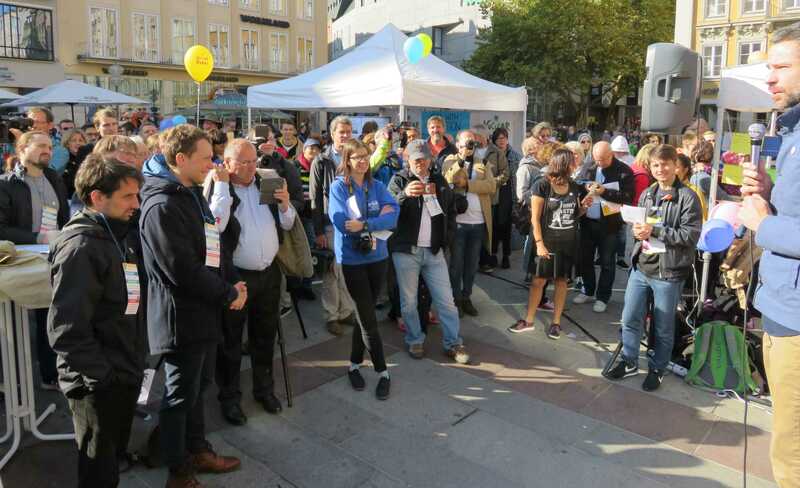 00.16 Joris van Dorp: We are at the Nuclear Pride Fest; it is a kind of festival to celebrate what nuclear brings to us and to show the world that we are happy with the role that nuclear energy plays. 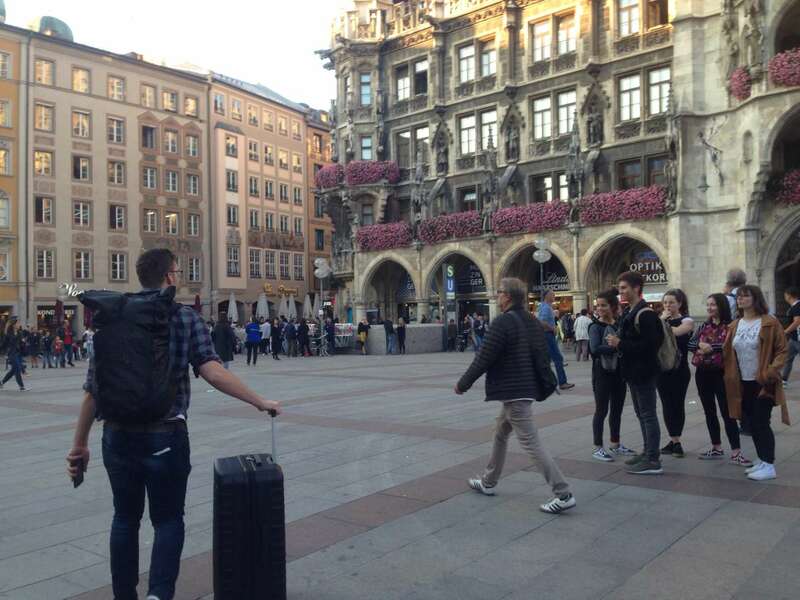 00.35 Voice over: Last weekend a party was celebrated at the Marienplatz, the central square in Munich. 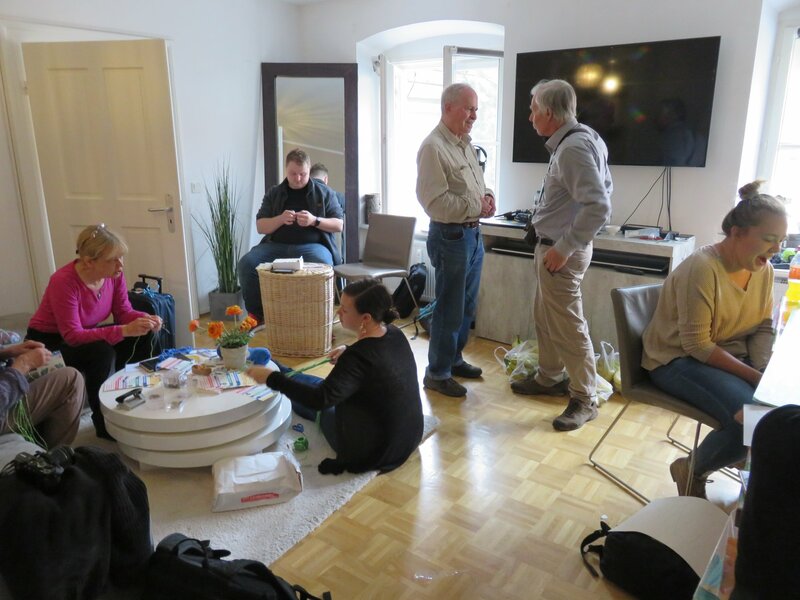 Germans, Dutch, Americans, Koreans… what unites them is that they are pro-nuclear energy. 00.49 Michael Shellenberger: We’re nuclear pride and proud… etc. 00.57 Joris van Dorp: We chose that name because there is a link with the pride of the LGBTs. The gays, exactly. They also must be able to come out of the closet, to say what they think, to be proud of whatever they might achieve. 01.13 Reporter: Does it really feel that way, that you have to come out of the closet? Joris van Dorp: Well, yes, I’m not from the nuclear sector, but what I hear is that people who work in the nuclear industry, especially here in Germany, feel very, very negative. Reporter: There is a stigma on nuclear energy? Joris van Dorp: There is a stigma on it. 01.27 Michael Shellenberger: “Kernkraft!” etc. Voice over: This is what nuclear energy supporters fight against. For decades, there have been protests against nuclear power plants. Due to accidents in Chernobyl and Fukushima, the nuclear industry struggles with an image problem. Voice over: Early this month, the UN came with a report about how the rising temperature should be curbed. In the four most important UN-models, nuclear takes a prominent place. Voice over: As professor of reactor science, Jan Leen Kloosterman is glad that the UN Climate Commission sees a future for nuclear power plants. But the only Dutch power plant, in Borssele, will be closed in 2033. Jan Leen Kloosterman: It looks now, in the debate, the elephant in the room that no-one talks about. Everyone knows that nuclear energy is around, but nobody takes it into their considerations about a CO2-free energy supply. It looks as if we, in The Netherlands, do ourselves short by making ‘CO2-free’ a synonym of ‘renewable’. 2:57 Voice over: one of the great advantages of nuclear energy is that it does not emit CO2, contrary to coal and gas. By the use of nuclear power plants, in combination with sun and wind, we could be able to meet the climate goals. Jan Leen Kloosterman: We need to look at the mix, and look at how we, as a system, can become CO2-free as fast as possible. 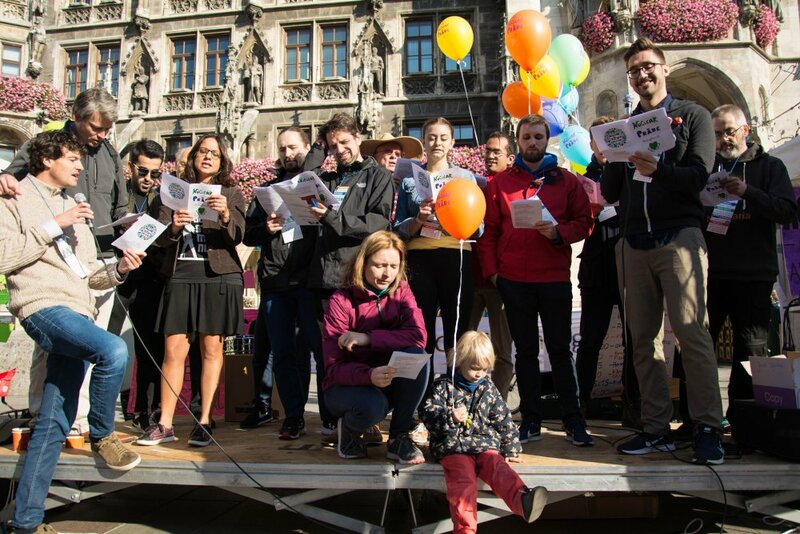 03.27 Voice over: in Munich, the playful protest predominantly consists of engineers and people from the nuclear sector. Joris van Dorp is one of the 80 advocates of nuclear energy in The Netherlands. He calls himself an ecomodernist. Joris is annoyed by the coverage of nuclear accidents in the press, such as in Fukushima. Joris van Dorp: What doesn’t make the news is that there are no victims. What also doesn’t make the news is that the people never should have been evacuated. Voice over: Why? Why not? Joris van Dorp: There is radiation, but of course the radiation is very limited. So there was a slight risk. That risk was less than the risk of air pollution in a big city. And we are not going to evacuate a city like Amsterdam because there is air pollution. Voice over: But there is a whole area in Japan that is contaminated. Joris van Dorp: Yes. But you can just live there. And if you live there, you are less affected then in a city with air pollution. 04:22 Voice over: Greenpeace does not show it’s face in Munich. For decades, the environmental movement was on the forefront in the fight against nuclear energy. Especially when the nuclear waste was still dumped into the sea. 04:52 Subtitles: Stop dumping those barrels. You bring people’s lives in danger! Look what’s happening now, stop immediately. Have you gone out of your mind? Should there be deaths? 05.06 Voice over: Now Greenpeace acknowledges that nuclear energy also has benefits. Faiza Oulahsen from Greenpeace: It has no C02-emissions, that is correct, so it does not contribute to global warming. But there are, of course, also other disadvantages, namely that it is risky. We had, of course, problems with Chernobyl, with Fukushima a few years ago. That is detrimental to people and the environment. And besides that, nuclear energy produces a lot of waste, radioactive waste, which is active for 200,000 years. 05:33 Reporter: But you wonder … but it is not so that you reject nuclear energy in any case. Faiza Oulahsen: Look, we are not against in in principle. It is very pragmatic. Must we get our energy from nuclear if there are also clean options? And that’s why we say: then choose the clean options. 05:49 Footage of the Elfstedentocht (Dutch ice skating contest that can only take place after a prolonged period of frost – which hasn’t happened in decades). Voice over: Windmills and solar panels have one big disadvantage: the Elfsteden- scenario: a long period in which there is little sun, and also no wind. Jan Leen Kloosterman: You then need a lot of storage capacity, because the energy that you need in the winter – especially in windless weather – suppose you have an Elfsteden period with windless weather … and don’t have that storage capacity yet. We don’t have the technologies yet. Reporter: So you cannot yet store the energy? Jan Leen Kloosterman: Not on a scale that you can bridge the summer and winter period. 06:24 Joris and Simon walking towards Isar. Voice over: Only green energy is not an option for the next few years. For the ecomodernists, and additional argument for nuclear energy. Simon Friederich: We now see the nuclear plant Isar. With reactor Isar 2, which is still in use. It is one of the largest German reactors; in fact worldwide one of the largest. Reporter: And this one is closing down? Simon Friederich: It is closing down, it is closing down in a few years time. The last point in time for that is the end of 2022. 06:56 Angela Merkel: We have come to the decision and are going to take measures to secure the safety of nuclear power plant-workers in the light of what has happened in Japan. 07:07 Voice over: After the accident in Fukushima, Angela Merkel decides to close down all nuclear power plants in phases. The consequence is, however, that it is more difficult for Germany to meet the environmental targets. After all, nuclear energy does not have CO2 emissions. 07:25 Joris van Dorp: This nuclear power plant can produce the energy for all households in the Netherlands – that is produced here. Super safe. Top technology. Climate change. Are we seriously talking about climate change and are we dealing with an environmental movement that says: this must be closed? That, for me, is incomprehensible. But anyway, I’m an engineer, politics is often complicated. But no sensible person can say that closing this is the right way. 07:48 Group singing the U-song on stage.